It's a mod with no modname in the network. Contra/temporary Limit in this beta: None so far. Known Bugs: a small temporary bug have been found by sorting in lists up/down arrow the client software/modnames from connected clients. ... Bantime to 6h, max nickname lengh, some timings and smaller changes. mem consume by version with get/resolve all conected clients with full software client info 43 mb peak (38 - 40 Mb avarage) // need tweak for it. Looking for a free public svn/cvs server hosting with revision diffs and bugtracking managmement to publish/host source code. 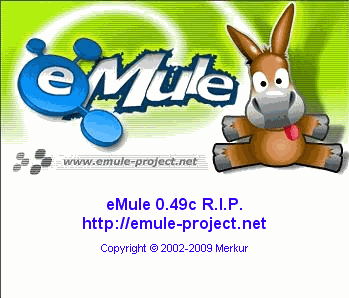 I want to share the code and working on it in public group every c# programmers coders is welcome to join coding emule modding project without any restrictions. tux, this can not be right what you say. I coding on it. Look by self there is already in official emule manual unban IDS_UNBAN "Unban"
for what is this function if manual ban is missing? On top of that I don't trust 100% in automaticaly ban systems as by antileech systems are in use. forgot relocations to change thats why the large file size!